Exposed: The Japanese Knotweed Heatmap is an interactive online heatmap of Japanese knotweed sightings across the UK. Designed to inform homeowners and homebuyers of the local presence of knotweed and the potential risk to their property, the map has already been populated with thousands of infestations. The tool is also an invaluable source of information to property professionals involved in transactions such as chartered surveyors, conveyancing solicitors and estate agents. Where a high number of knotweed sightings appear nearby, homebuyers may wish to instruct a Japanese knotweed survey to check the likelihood of the property they intend to buy being affected or at risk of encroachment from infestations in the vicinity. Concerned about the presence of knotweed on a specific property? View the Exposed Heatmap to see how many sightings there are in your area of interest. Search by postcode to see whether you, your family or friends live in a high risk area. If you are buying a property, check out Exposed: The Japanese Knotweed Heatmap to see whether you’re buying in a risky area. If you are still concerned talk to us about our JustCheck™ assessment – a property specific, detailed analysis to assess the risk of Japanese knotweed being present. Remember, Japanese knotweed can be present in the ground, even when there is no sign of it above ground. The heatmap is based upon reported sightings, some are verified, some are not. Japanese knotweed may be present but not have been reported, so the Heatmap should be used as a guide only, and should not be used as a definitive record of all knotweed locations. 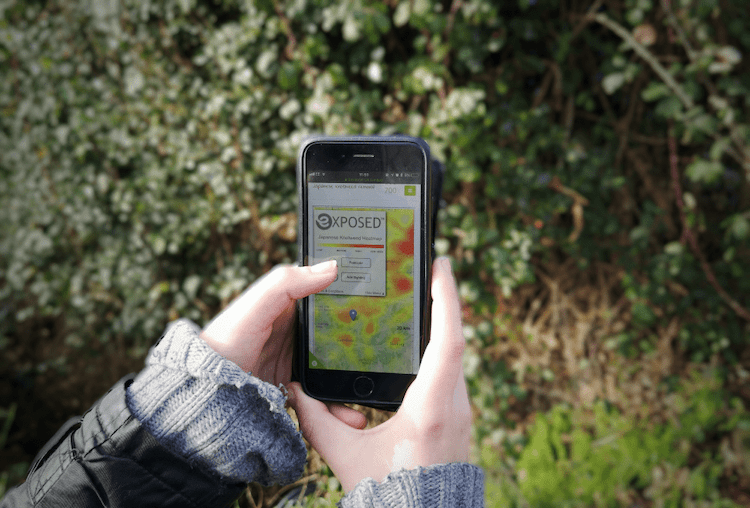 You can join the fight against Japanese knotweed by reporting any sightings of Japanese knotweed online, using your smartphone, tablet, or desktop computer. We’ve made it really simple, it takes just a few seconds. Click “Add Sighting”, zoom in on the satellite view and click the central position of the knotweed location. You’ll only be asked to define the size of the infestation, some further information is requested but is optional. No sign-in or passwords are required. If you have something in your garden, or you spot something suspicious while you're out and about, use our comprehensive guide to Japanese knotweed Identification to check you've got it right. Wherever possible we’ll verify new sighting reports to keep the Heatmap as up-to-date as possible.